Why the FOUR HORSEMEN and just who, or what, are they? 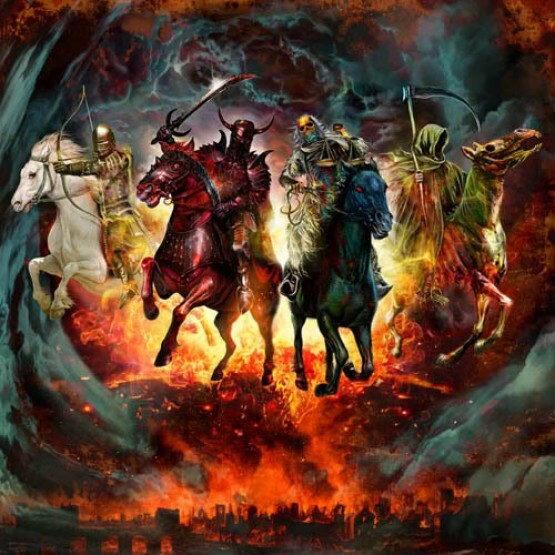 The Four Horsemen of the Apocalypse quite aptly resembles the forces that have already been “let loose upon the land”. The consequences, and aftermath, of what will be left in their wake are listed below, and the challenges and adversities that will accompany each of them will last through this entire decade baring deus ex machina. The hooves of these FOUR HORSEMEN will be felt in every corner of the globe, as each of them knows no boundaries and has been empowered to act with complete impunity. They know neither rich nor poor, neither strong nor weak, neither clever nor dull. The HORSEMEN will spare nothing, and no one, in their zeal to completely level a multi-millennia old system that has brought so much pain and suffering, wreck and ruin, trial and tribulation, to the masses of the world. Every continent, nation, state and province, city and county, village and town will be profoundly affected and fundamentally altered … forever. The Four Horsemen of the Financial Apocalypse and Economic Armageddon will be seen everywhere on Planet Earth. Let’s take a closer look at these four bucking broncos before they completely break out of the rodeo pit. Each of them alone may appear to be fairly harmless, but when married up with their cruel and ruthless horseman, they take on a wholly different temperament. Of course, the perfect storm within this Perfect Storm can be easily identified as the inevitable devaluation, and eventual collapse, of the once Almighty Dollar. Inasmuch as it has functioned as the primary reserve currency for the world, it is quite easy to understand the many negative ramifications of its rapid demise. As nation after nation has let it go as a means of exchange, the ultimate effects on the US currency can best be described as “that giant sucking sound”. However, the real problem with this giant sucking sound is not just the effects on the US DOLLAR, but that it will be deafening to hear throughout the economies of the world. The US Dollar interpenetrates not only the financial structure of the industrialized nations, but also the many economies of the 3rd world, so that its fall will serve to radically undermine the entire worldwide financial architecture. 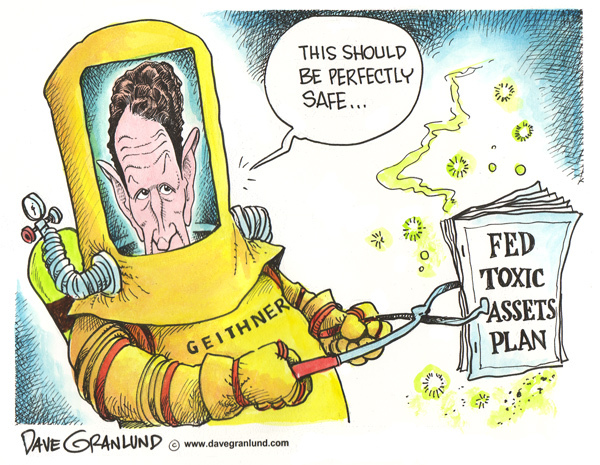 “Too big to fail” simply has no relevance anymore now that this genie is out of the bottle. Just ask Iran, or Venezuela, or China, or Russia, or Dubai, or Ecuador, or Bolivia. Or any of the many other nations just waiting for the right moment to break free from this monetary yoke. Sorry to tell you, but the dollar has now caused so much damage throughout the land that it can’t fail soon enough. And the longer it is artificially propped up, and forcefully kept in place, the more damage it will ultimately do. 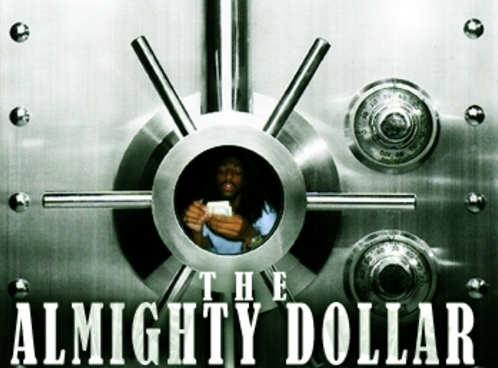 The ‘Almighty’ do not die very easily, as we have seen with this note – um – dollar. Just look at what happened to Iraq when they attempted to decouple their oil exportation business from the US dollar. Their expressed intentions to follow through on this initiative in 2001 brought them a foretaste of Armegeddon – US style. Likewise, the establishment of the Iranian Oil Bourse has brought a similar curse upon that country, with even the same false accusations being leveled at them as a pretext to military invasion, and a future oil industry takeover. Of course, what further inflamed this tension between those committed to global dollar dominance and those wishing to be free of its tyranny was Iran’s request to be paid in non-dollar currencies by all of its petroleum customers. Not quite sure if they deserve an ‘A’ for audacity, an ‘F’ for foolhardiness, or both. Nevertheless, they are doing what is best for the world by breaking free from the planetary plantation and the $$$ master. Quite courageously, they have set a GREAT example for the rest of US dollar addicts, debt slaves and derivative junkies. The crux of this issue does lie in the fact that the Federal Reserve Bank is nothing but a printing press. The FED can continue to print its Federal Reserve Notes all day long, exactly as it has done for decades; however, history is replete with similar printing presses of money, and they all have the very same destiny. As a matter of fact, fiat money by any name, or run by any game in town, can only produce one outcome in the end – complete and total degradation of the nation’s currency, and eventually its financial architecture and economic infrastructure. Welcome to the USA (and UK) in 2009 ! ! ! It is truly shocking that so many businesses (privately held companies & public corporations), managed funds (pension funds, mutual funds, hedge funds, trust funds, sovereign wealth funds, etc. ), governmental entities (villages, towns, cities, counties, states, provinces and nations) and people everywhere, both smart and stupid, bought into this game. Of course the game of GREED knows no bounds or limits, and certainly crosses through all socioeconomic barriers with the greatest of ease. The practitioners of greed neither adhere to the generally accepted principles of ethics and fair play, nor sound business practice and accounting methodology. Nor do they hold in high regard the philosophical bulwarks of Western civilization – reason, common sense or even sanity, for that matter. Particularly since 1971, after the US dollar left the gold standard behind for good, was this worthless instrument systematically shoved down the world’s throat whether it was wanted or not. The greedy accepted it with gleeful and wanton abandon; the wise did all they could to minimize their exposure to it. In the end, it will be known as the poisonous seed (read GMO) of corrupt, corporate, crony capitalism that was planted so far and wide that not a living thing could claim to be untouched by the fruit of it’s tree. DISCLAIMER: We bear no grudge against the original US dollar that was backed by the gold standard. We have no quarrel with the US Government (with the exception of the outgoing and incoming administrations), and we harbor only good will toward the American people. It is the Federal Reserve System, and its fatally flawed practice of debt-driven, fractional reserve banking that is the object of our scorn and derision. Likewise, it is the Federal Reserve Bank (FED) that deserves our condemnation and searing criticism. Why? Because the FED is not legitimate. It is not a properly constituted or legislated organ of government, and is actually a privately owned consortium of banking agents whose ownership is more foreign than domestic. The FED is legally unfit to conduct business on behalf of the American people since, as a private entity, it lacks the congressional oversight necessary when appropriated funds have been allocated by the legislative branch of government. The printing presses of the FED produce notes – as in promissory notes – which are nothing but instruments of indebtedness for all who possess them. Not too unlike credit cards, actually. Therefore, the money that it prints is counterfeit. Is it surprising that an international, privately owned crime syndicate, which issues fake money, would be the biggest player in the worldwide funny money monopoly game that is bringing the entire world of commerce, finance and business to a virtual standstill? We are talking about the greatest financial crisis in recorded history, you know?!? And the FED is institutional PUBLIC ENEMY #1 responsible for this multi-decade crime spree. Here’s a horse that’s already broken loose and kicked over ‘half’ the public and private sectors of the world. Their initial plan was to simply transform (read destroy) the debt, if you will. We all know very well by now just one of their many schemes – hide it by repackaging it, and then somehow convert it into securities (CDO’s). That’s one plan that really screwed things up. Of course, this little scam began with the whole sub prime mortgage fiasco. Sub Prime!!! Questionable adjustable rate mortgages granted by dubious mortgage lenders to unqualified mortgage applicants. Really brilliant! Then they sold the CDO’s all over the world as triple class AAA “securities” that would round out a conservative investment strategy like the portfolio that was administered (and subsequently decimated by CDO’s) in the town of Narvik, Norway. The 2008 bankruptcy of Lehman Brothers with debts totaling $613 billion is perhaps the greatest example of what’s around the corner. The subsequent unraveling of this single bankruptcy has yet to be felt in all the places where 613 billion dollars are owed. It represents an amount that is still too staggering to comprehend, and yet there have been others since, and many more to follow. The absorption of Merrill Lynch by Bank of America, as well as the purchase of Wachovia by Citibank, are only a couple. However, AIG is perhaps the biggest sleeper of them all in this debt limbo only because of how it intermeshes with so many other businesses, nations, corporations, industries, banks, etc. Insurance, you know, is everywhere. Required to do business, everywhere. And the way AIG wound itself around so many enterprises makes its total exposure, in all of its many and varied forms, one of the most serious debt bombs in town. Whenever you mix ‘unheard of risk’ with the insurance industry, you know you’re playing with fire. Watch for this pyrotechnic display very closely; it will dwarf those of last year’s Olympic opening in China. Even though this pandora’s box has been open for quite some time, the DEBT piece of this current phase of capitalism eating itself is often conveniently unacknowledged, or casually underestimated, or grossly misrepresented. For several months now, there are massive, unprecedented multi-billion dollar write-downs (and write-offs) by the ‘blue chips’ of the banking and investment world. Likewise, many formerly solid companies have gone into the debt divestment business faster than you can say bankruptcy. Massive corporations with humongous debt loads are acquiring huge corporations with gargantuan liabilities. The bigger the debt burden, the quicker a suitor is found, and then they’re hitched without so much as a honeymoon. We always thought that a dowry went in the opposite direction. You know, it’s about what you bring to the marriage, not what you take away, that makes you attractive. WHEW ! ! ! And we haven’t even discussed the specter of the consumer debt bubble burst, or the anticipated fallout from its ensuing mushroom cloud. When you add this looming scenario to the myriad toxic waste sites of incorporated debt, innumerable landfills of national & government debt, and countless hazardous waste dumps of securitized mortgages, you begin to see that the entire economic landscape has become one vast, unbroken disposal area with the typical assortment of garbage dumps, junkyards and recycling stations to handle any type of debt you want to get rid of. The brokerage houses ultimately became transfer stations for all of this financial refuse. Is it any wonder that they all had to disappear, and did so in the span of a just a few months!?! 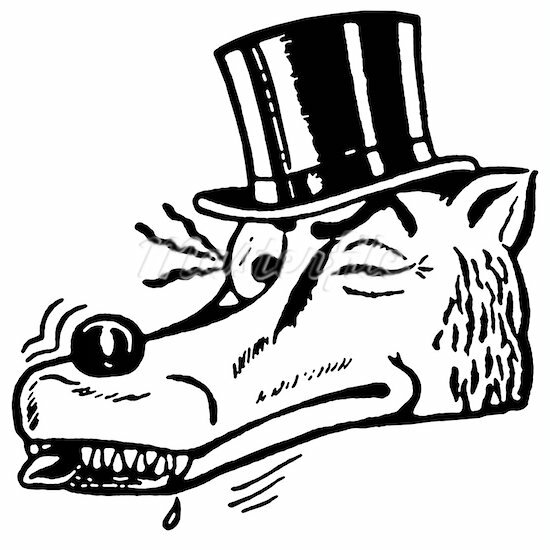 The stench coming from the rot on Wall Street was getting worse than the foul odors in a Neapolitan neighborhood. Of course, the real “elephant in the living room” in regard to DEBT concerns the looming and inevitable default on the US debt owed around the world. How can this possibly be stopped?! It really does represent a conspiracy of circumstances that is so complicated and convoluted that even someone in the know would be hard pressed to present a credible case as to how this titanic will sink in one brief moment of time. So many forces have been silently at work to ensure that this financial cataclysm takes place that it defies the imagination. For one, who has not played with the fire known as US Treasuries, be they bills, bonds, notes or securities? They are the most ubiquitous of their kind, and been produced in the greatest amount, for a long, long time, to finance LOTS of wars. And Uncle Sam, don’t you know, is the greatest salesman of all time. He can sell cow paddies as delectable, sumptuous caviar, and probably has at least once or twice. Not only did the Iraq war drain the US Treasury that had nothing left to drain, but the same war only stirred up fiercely anti-American sentiment abroad – everywhere!!! The wholly illegitimate war in Afghanistan didn’t help matters much either. When feelings run this strong, it is much easier for the spectator nations of the world to cheer on the slow motion collapse of the undisputed global bully, even when it is may not appear to be in their best interest. Sounds crazy, but just take a look at the millions of American voters who consistently vote against their own interest each and every election cycle. Can you believe that, in the so-called American democracy, the debt slaves vote for their plantation masters year after year, and even contribute their hard earned money which further guarantees their continued enslavement!?! No wonder it’s still called the American Experiment since we, still today, make such compliant and docile guinea pigs. 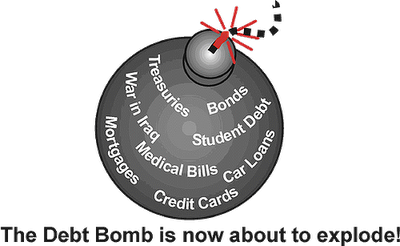 Now we know that the DEBT bomb has always been a major part of their strategy. Therefore, the only conclusion one could reach is that the decision-makers, as well as those who implemented the decisions, knew that these, and other wars in the works, would break the country by the newly incurred debt. As of January of 2012 the “official” National Debt exceeds 15.9 trillion dollars, which translates to over $50,000 per capita (each US citizen). These wars have also ratcheted up the annual federal budget deficits to the $500 billion to $1 trillion level – clearly unsustainable for a comatose national economy on life support. The extremely sad piece of this story is that it was actually some of the traditional adversaries of the USA who chose to finance these illegal, immoral and highly offensive wars. This little fact will make it that much easier for the US Corp to default, since the pain will be felt far and wide, especially by those who are considered ‘enemies’. These poor folks will pay dearly twice – when the dollar goes belly up, and when the US debt goes into default. When all is said and done, the monetization of debt by the leading central banks of the world will be regarded as the single greatest financial fiasco in modern history. Ultimately, it will be viewed as the wooden stake that was driven into the very heart of the vampire known as Anglo-American capitalism. Vampires, you know, are notorious for sucking blood, and no one has perfected this process like the killing machine that has been labeled the Military-Industrial Complex. Only through the relentless issuance of mountains of debt, continuous and massive deficit spending, and forcibly maintaining the hegemony of the US dollar were they able to keep this zombie alive and running for so long. Now that the DEBT is coming due, and there is no more blood to be found, this Dracula will be forced to enter his coffin for a good long time. This is where Wall Street high finance meets the blackjack tables of Las Vegas – both literally and figuratively. This marriage of convenience represents the ultimate fusion of everything that was wrong with the MO of today’s (yesterday’s) investment bankster and all the ways that the gambling casino is always rigged by the house (aka the guvment). Just as the house fixes every game in town so that it never loses, the fat cats at Morgan Stanley and Goldman Sachs never walk away from the table without a belly full of fish. Even though many of their bets fell right through the floor, they still, somehow, feel entitled to multi- billion dollar bailouts. Experts at privatizing profits and assets, and socializing losses and debts, they are. Also unparalleled in their ability to turn the entire world into one colossal betting parlor. 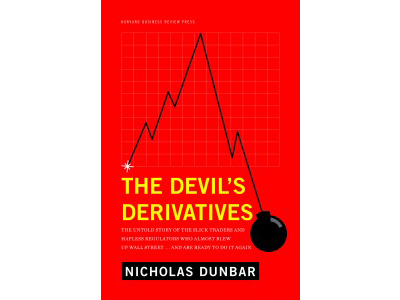 Derivatives are the real hidden time bomb in this whole story. You talk about a wild card – man oh man – it doesn’t get any wilder than the card stamped with “D” for DERIVATIVE. This tangled mess has touched every nook and cranny on every continent, in every nation, in every corporation on planet earth. They don’t even know – We don’t even know – No one knows, if the notional value of the total sum of derivative instruments issued worldwide is closer to 500 trillion dollars or, get this, ONE QUADRILLION dollars. Can you imagine the high intensity hawking that had to happen to get to a place of $1,000,000,000,000,000.00 of highfalutin bets?!?! Oh my gosh! All the gambling casinos in Vegas, Atlantic City, and every reservation in the lower 48 put together couldn’t come close to a mere fraction of that number. (i) governmental regulation, (ii) monitoring by financial analysts, (iii) legal due diligence, and (iv) scrutiny by the financial news media. How many people have even ever heard of a credit default swap, forward rate agreement, or turbo warrant? We’re talking about the outhouse of the financial industry here, so one must really give them credit for their ability to turn crap into caviar. And then sell it as such, as we mentioned earlier. These crap conversion factories (aka hedge funds) became the ultimate in new age financial alchemy. The hedge fund lab directors somehow managed to transform pure lead into pure gold. Mind you, we’re talking about the proverbial philosopher’s stone, right here, in the midst of the modern financial marketplace. Wonder who the MERLIN was that thought up this scheme which will ultimately ensured the downfall of an entire civilization? We know who the Federal Reserve Chairman was that aided and abetted the perpetrators, as well as helped implement the entire scheme. Probably ought to start there and follow the trail back to those that conceived the whole plot, so that we might at least confiscate their piggy banks. Never has the phrase – pigs at the trough – been more apropos. The reality was, is, and will forever be that this instrument of high finance – the DERIVATIVE – transformed the entire realm of international finance into a Turkish opium den. Anyone who entered had to be high to get in, and would most assuredly be higher when they left. They all smoked the same crack derivative, could never get enough of it, and, like every addict attempts to do, wanted to turn everyone else onto it. They knew that only through widespread addiction would this habit become institutionally acceptable. And do you know that this ploy worked like a charm! Of course, whole national, and regional economies, will never, ever, be the same, just as gambling has always been notorious for bringing total ruination to the home of an addict. The saddest part of this story concerns the referral effect which ensured that the real pain from this financial stratagem would be referred to the worker or company or entrepreneur or office worker or small business owner who really does work for a living. And who, in the process, produces a real good or service untainted by hedge upon hedge, bet upon bet, swap upon swap. For it always is the salt of the earth that becomes the unsuspecting fodder, especially in a perpetual war economy that only knows how to sacrifice the “weak” for the benefit of the “strong”. Here again, demolition by derivatives will prove to be the surest way to bring down virtually every corner, of every floor, of every building, of every financial institution on planet Earth. 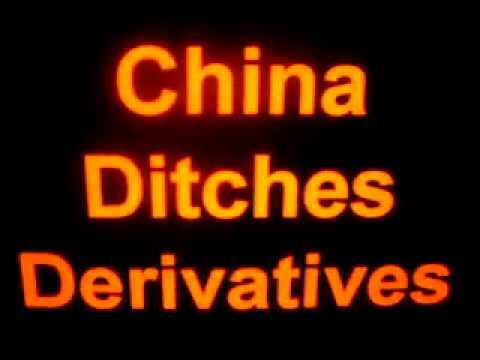 The derivative casino will go down in history as the most pervasive, unregulated and ‘successful’ gambling establishment of all time. It broke the bank (the FED, the Bank of England, among numerous other central banks), busted up the ‘street’ (Wall Street, cobblestones of the City of London, among other national financial districts) and wreaked havoc within the US & UK governments, among many others throughout Europe, the Pacific Rim, etc. In time it will prove to be the primary reason why whole populations will find themselves broke, busted and disgusted. Truly, the Derivative Death Star will soon glow like a supernova for all future generations to gaze upon. After this “controlled demolition” runs its course, the only logical and natural consequence will be the complete disintegration of the worldwide derivatives market. Trust will have been so thoroughly diminished in the wake of so many derivative caused disasters that they will become not only the pariah of the financial world, but also rejected by any and all who can say or spell the word – D E R I V A T I V E.
The various Bubble Bursts of 2008, 2009, and 2010 have their roots in the same forces and dynamics of those that contributed to the Crash of ’29. Only this time there exists a conspiracy of circumstances that simply overwhelms the imagination, as much as it challenges credulity. For starters the overall economy today is exponentially larger than ’29. The sheer number and variety of financial instruments is likewise so much greater that a meaningful comparison with is practically irrelevant. Globalization has created a much more complex world economy that has completely blurred national boundaries, created an imperceptible financial superstructure, as well as an economic infrastructure, which inextricably intertwines the commerce of all nations. What does all of this have to do with the current DEPRESSION through a downward deflationary spiral? What isn’t allowed to burst due to inordinately high pressure will inevitably deflate by way of a steady and sometimes quickly accelerating downward spiral. All of the major markets are so artificially propped up by hot air that they have only one way to go —>DOWN! So, no matter what anyone else tells you please be acutely aware of the asset deflation which has been plaguing the residential and commercial real estate markets, the equity and bonds markets, the commodity and currency markets. Severe, unprecedented and permanent asset deflation is the real killer of this faux economy. It’s easy to understand when looked at through the prism of leverage. After all everything – and we mean just about every asset under the sun – is currently being used to leverage another asset, investment or speculation. That’s just the way the financial world has worked during this reign of the Almighty Dollar. Just look at the current official debt of the USA to get a hint of what we speak. Can you imagine how much the debt service alone is on this multi-trillion dollar national debt?! However, it is the degree to which everyone who’s playing this monopoly game is leveraged throughout their personal portfolios which will cause this universal scheme to unwind so quickly. The ease of securing home equity loans and lines of credit, as well as 2nd mortgages, made sure that every homeowner would dig a grave just deep enough to be sufficiently buried. Of course this very same principal can be applied to every other market to the extent that those assets have been systematically used to collateralize other debts, investments, etc. Of course there is also the other kind of deflation. Let’s see now, it starts with decreases in price, which will then lead to lower production, which will cause lower wages that will then translate into lower demand, which will again cause prices to come down even further. This predicament then triggers hiring freezes and causes businesses to close which further exacerbates job losses and systemic unemployment. 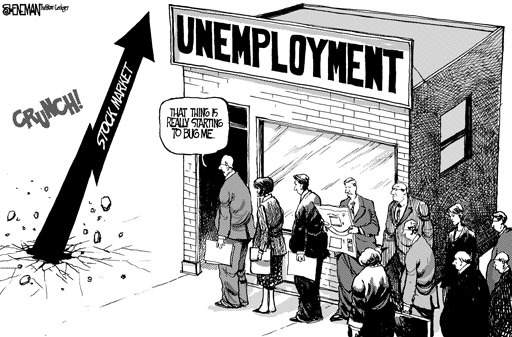 ‘Jobless recovery’ then becomes the standard oxymoron throughout economic and political circles trying to explain and spin respectively a self-perpetuating trajectory. This economic vicious cycle, which inevitably occurs when a systemic problem exacerbates it own cause, is merely a protective mechanism that ensures that the entire hopelessly flawed system will ultimately end in failure. And so it has. For those who didn’t catch it, the global stock market did crash in the Fall of ’08 in what will be forever known as the “CRASH OF THE MILLENIUM”. Actually, it crashed numerous times from mid September to the end of October, only the media forgot to tell anyone about it. There was a manufactured sucker’s rally after each and every crash to present the appearance that the market returned to normalcy. 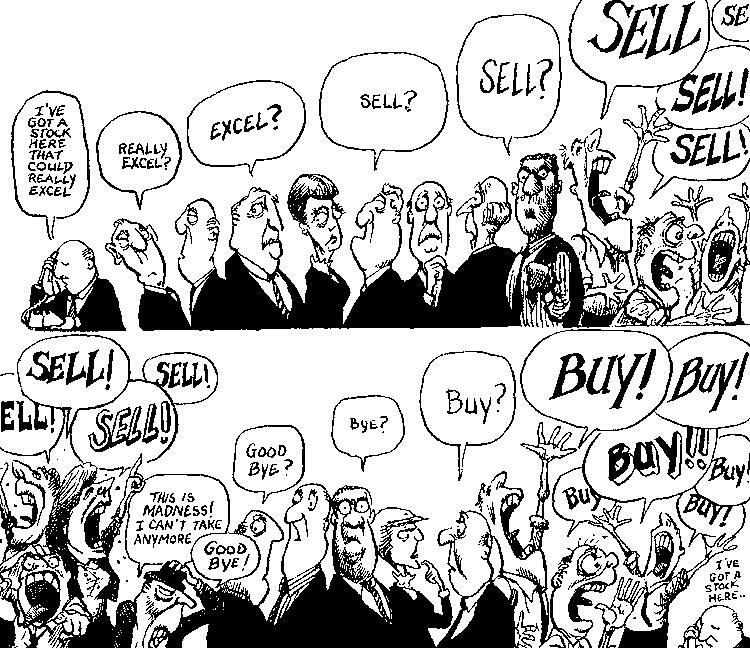 How else to explain the massive volume of stock purchases right in the wake of the worst financial/economic news and data reporting cycle in memory? Since there were few real suckers to be found, the central banks and their henchman did all the fake buying with fake $$$’s in order the keep the markets artificially propped up. As they’re still doing today! Now, all we can do is sit back and watch the relentless erosion of every economy on earth through deflationary downward pressures, and all of its consequent stages of devolution. The fungus of deflation will guarantee that every national economy will deteriorate. This most pernicious variety of deflationary mold is known for the many phases of deterioration it brings upon the host nation, so we know there will be periods of both hyperinflation and stagflation, mini-booms and maxi-busts, commodity-specific buying sprees (e.g. gold) and unprecedented market blowouts, runs on the banks and flights to foreign currencies. In the end, the nations of the world will be thoroughly decimated by the plague known as deflation. The economies of the regional financial unions/economic super-states (e.g. European Union) will be particularly vulnerable to the extent that they chose to play this game of BUBBLE monopoly (see the EURO). It’s an extremely unfortunate fact of modern economic and financial life that when there is a tremor in the City of London, countries like Iceland get hit with a 100-foot tsunami right after a 10.0 earthquake. Conversely, when the US sub prime mortgage market tanks, small towns all over the world can go bankrupt, just as small nations can go under, because of their investments in things like CDO’s. When the American consumer stops buying, China has just lost its largest customer, as well as a huge and highly profitable marketplace in which to dump their many toxic wares. This is how national economies are so tightly interwoven in the postmodern age. Because they share the same warp and woof of all that binds them together economically and financially, they will descend together into this GREATEST DEPRESSION of all time. By their trademark BLACK HATS, ye shall know them. Now it is extremely important to understand, as well as highly instructive, just how these HORSEMEN operate, as well as how such a state of affairs could have evolved. The operative words that well describe the MO of all who had a hand in its creation, once again, begin with “D”. The handiwork of those responsible for the creation, maintenance and destruction of the now legendary corrupt, corporate, crony capitalist system will eternally be known for its DECEPTION, DUPLICITY, DECEIT and DOUBLE-DEALING. At every level of formulation and implementation of the aforementioned policies were these 4 dubious characters employed with perfect timing and extraordinary cunning. From the US Senate to the US House, from the POTUS & VPOTUS to the SCOTUS, from the US Treasury to from the World Bank & IMF, from the SEC to the FTC, from the Federal Reserve Bank to the Bank of England, from the Council on Foreign Relations to the Trilateral Commission to the Bilderbergers, from the last of Wall Street Investment Banks to the still standing(?) major Commercial Banks, from the Big Four Auditors to the Big NYC & DC Law Firms, from the K Street Lobbyists to the DC Think Tanks, from the transnational Oil Companies to the Military/Security/Industrial Complex, as well as the rest of Corporate America, they were all materially invested and substantially complicit in this CON job of the millennium. From the NYSE to the NASDAQ, from the Dow Jones to the S&P 500, from the WSJ & NYT & WASHPO to FORBES & FORTUNE & FINANCIAL TIMES, from Bloomberg.com to CNNMoney.com to Economist.com, they all enthusiastically participated in the making of this bubble of BUBBLES. 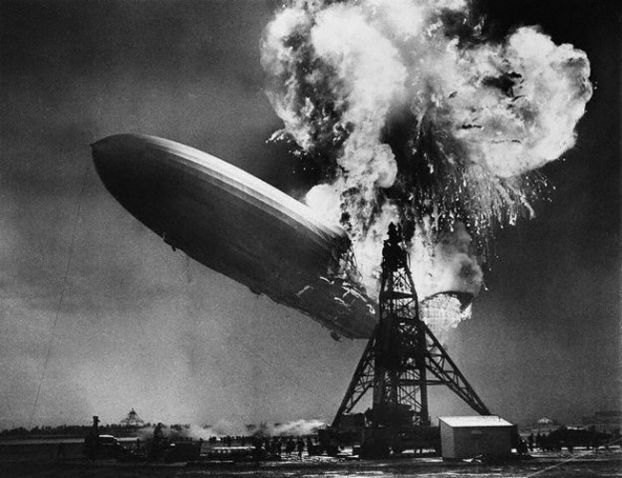 That’s right, the one that’s now deflatin’ faster than you can say The Hindenburg. So many hands in this cookie jar at once it gives new meaning to sleight of hand, doesn’t it?! Really surprising they went through all the effort, as the jar has been empty for so many years! One has to really stretch to wrap one’s mind around the degree and profundity of so much intentional fraud, system-wide malfeasance, misappropriation of any vulnerable fund with value, routine embezzlement of the public purse, outright theft of shareholder value from equity accounts as well as bondholder value from bond account, swindling of all retirement accounts within reach, and the looting of any national and corporate treasury not yet the victim of a heist. From the US Treasury to the US taxpayer, from 401K’s to Keough’s and IRA’s, Pensions to Annuities, from CalPERS to NYSLRS, savings accounts to checking accounts, from central banks to piggy banks – nothing has been spared a fleecing by these four very dubious con men. We mean nothing. And if you think something has somehow escaped, it just hasn’t happened yet. Or maybe you haven’t figured it out yet. You see bubbles, whether dollar, debt or derivative, don’t just happen, and then somehow deflate; they were created by an extraordinary amount of ongoing institutional misrepresentation, incessant prevarication from officialdom and a continuous flow of calculated fabrication from the top level controllers. Wall Street, alone, can be tagged with enormous criminal activity that touches on every aspect of the banking, investment and financial industries. The degree of market manipulation (stock, bond, commodity, currency, derivative, etc. ), insider trading, price fixing, price gouging, executive stock option abuse, securitization of bad debt, setting up rogue investment managers, publishing false prospectus claims, insufficient liquidity to meet investor cash-outs, robbing Peter to pay Paul (illegally mixing funds), etc. is so great as to be inconceivable. Calculated and premeditated naked short selling has also played its part in bringing down some of the biggest titans of the global financial sector. And then there is the Street’s never-ending penchant for exaggerating (and illegally hyping) profits; revenue streams; income projections; dividend payouts; capital gains & appreciation estimates; business outlooks; product expectations, etc. which has become so commonplace that the most serious felonies associated with this behavior have to exceed grand larcenies in excess of a hundred million $$$’s in order to be prosecuted with the same vigor as jaywalking. Sucker’s Rallies have become the dominant mechanism for drawing the unsuspecting back into the market even when the economic news is truly bad and the real financials are even worse. It’s called a redistribution of wealth from the 99% to the 1%. The flip side of this conduct, however, has been responsible for the downfall of many an investor throughout the current bear market. This concerns the willful nondisclosure by your broker of lots of bad corporate news, including everything from hidden bad debts to bad management, unreported losses, financial statements prepared with bad accounting, tanking revenues, runaway operating costs, unpredictable energy costs, uncontrollable overhead, debt defaults, loss of lifelong credit ratings, imminent bankruptcies, looming criminal prosecutions, labor unrest & union demands, unpaid taxes, top heavy debt/equity ratios & miniscule return-on-equity ratios, and on and on. Additionally, many of the financial analysts, themselves, are either withholding accurate information or fudging the prepared data in their service as part time shill for their real corporate masters. So oftentimes the brokers don’t even have a chance to get it right. Here’s how an author at The Market Oracle recently spoke about the trade secrets that are currently being ‘protected’ by the US Federal Reserve concerning the lawsuits filed against the FED by both Bloomberg and Fox Business News. The convergence of so many of these co-factors, together with the agenda of the underlying control matrix that runs through all of the financial and commercial capitals of the world, have given rise to the Mega/Ultra/Super BUBBLEs of 2008, 2009 and beyond. Add to this mix a past and present Federal Reserve Chairman who both very purposely and deliberately encouraged the formation of one bubble after another – in real estate (residential and commercial), stock, bond & commodities markets (relaxed margin requirements as well as critical regulation), currency and, of course, derivatives, Derivatives, DERIVATIVES. Through formal and targeted policy adoption, as well as selective policy elimination, a highly conducive environment was systematically massaged and methodically finessed into place so that only ‘bad’ things could happen. Since this overarching scheme was meticulously sculpted, orchestrated and implemented over a twenty-five + year period, and well after the original bubble burst should have burst in the first place (Many of us financial planners fully expected a major bubble burst in the mid ’80’s. When it turned out to be only a minor pop heard during the Stock Market Crash in August of ’87, we knew they were hard at work postponing the BIG ONE. ), one starts to get a sense of proportion and begins to see the enormity of the events that we are facing. This is HUGE beyond belief, beyond comprehension and beyond the ability/capacity of anyone, any nation or group of nations, any consortium or international body to fix. This is really HUGE! As a matter of fact, it doesn’t get any bigger. Has ‘Free Market’ Capitalism already crashed and burned ? At the national and regional levels we can point to numerous conflicts as evidence of “Free Market” Capitalism experiencing its final death throes. Certainly the economic warfare being waged against Russia is demonstrative of the desperation of those who would maintain the energy status quo. As is the financial battleground on which Iran has found itself, because of its new oil bourse and burgeoning oil and gas revenues. Of course, Iceland has already become a victim of this hoity-toity cannibalism having recently been eaten by the UK, just as Ireland, Spain, Italy, Greece and as well as most of Eastern Europe are about to become victims of the European Union. Then there is the Dubai Multi-Commodity Center challenging all the traditional commodity exchanges that have been routinely and flagrantly fixing the prices of gold, silver, platinum and the like. Let’s not forget Venezuela, Bolivia, Ecuador and a handful of other South American countries taking on their former North American taskmaster and its corporate thugs. Zimbabwe has surely taken a beating ever since they confiscated (actually repossessed) the land that was once theirs from the recently evicted British land squatters. Likewise, Iraq, Sudan, The Congo, and Nigeria have all been the site of violent confrontations between those who want resources by force and those who actually possess them. How could we ignore the ‘disaster capitalism’ acting out in Afghanistan, Pakistan, Thailand, Burma, Somalia, Sri Lanka and Indonesia? Virtually every nation in the Caucasus, as well as the other former Soviet republics, have likewise come under fire for either their (un)fortunate location or something of value they sit upon. Even Mexico, like Columbia, has had a very rough time lately in its attempts to secure and efficiently transport the various commodities that comprise the illegal drug trade, as is Afghanistan with their again blossoming poppy fields and opium production/trade. What recently occurred in Gaza is a glaring example of what certain states will do for more land. The whole of Palestine, of course, has become the victim of a modern day land grab that is at the very heart of the ‘free market’ philosophy. Incidentally, less recent history is also packed full of examples of what will happen to a nation, or group of nations, when they fail to heed the commands of the planetary overlords. On the military side, we all saw what they did to Yugoslavia to secure and control energy conduits (oil &gas pipelines) throughout the Balkans by way of the Bosnian War of ’91-’95, the Kosovo War from ’96-‘99, as well as the smaller skirmishes before, during and after. On the financial side, we all witnessed the financial catastrophe that was imposed on many of the Asian Rim nations in what has since been labeled the 1997 Asian Financial Crisis. Not only were Thailand, South Korea and Indonesia ruined, but the Philippines, Laos, Malaysia and Hong Kong were wrecked as well. And Japan went through a 10 year period of major asset devaluation, especially the real estate and stock markets. On the economic side, Argentina, the USA of South America at the time, was practically destroyed in a week and a day in 1999 when the same overlords decided to economically collapse a nation in order to see how the population would react. Fast forward to the US and the UK in 2008 & 2009 for a replay now that they think they know how we’ll respond. The Four Horsemen are also known by their names War, Famine, Pestilence, and Death, which have always followed in the wake of the Anglo-American juggernaut. The real war, however, is the oil & gas revolution that’s been simmering everywhere lately, especially between Saudi Arabia/Iran (OPEC) and the Anglo-American juggernaut. The altercations on this battlefield have been fast and furious regarding oil pricing, supply, transport, stockpiling and dwindling demand. It may very well turn out to be the shot heard around the world if it breaks out in the open like the 2008 Georgian–Ossetia conflict between Russia, the Ukraine and the European Union. The slaughter in South Ossetia by Georgia was just a small example of just how volatile and precarious things have become throughout the worldwide geo-political realm. It also underscores just how much self restraint will be required by the Russians to avoid a full blown theatre of war from developing over competition for natural gas supplies and transport pipelines. Ditto for the Iranians, only for oil in their case. No one can deny that these are heady times! Just how bad will it get? Well, since many of the practices of our current fascist corpocracy, as well as the kleptocratic oligarghy, find their roots in Imperial Rome, we might look there to see what might lie around the corner here, that is, if they are allowed to go unchecked. As long as they continue to define ‘free market’ as free and unfettered for themselves, but at a cost – often severe – for everyone else, there will be unprecedented friction and great conflict. The good news is that we are now at the end of a long and arduous cycle, and at a point on the evolutionary spiral where there is significantly less karmic slack – for each and every global citizen. Therefore, the divide and conquer strategy will not only no longer work, it will boomerang on all who attempt to use it to their advantage. Hopefully, the deceivers of DAVOS will realize this truth sooner than later for the sake of the entire planet. The real good news in this whole story, of course, lies at the other end of the abyss. It is always darkest before the dawn, you know? Yet the shining dawn will only appear after we emerge from this darkest part of the tunnel. While that may be difficult for most to understand, or appreciate, it is nevertheless how the end of this story will unfold. 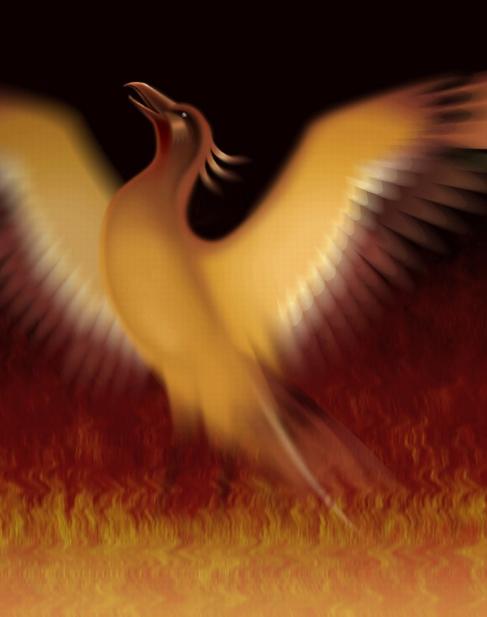 The Phoenix can only rise from the ashes of it’s funeral pyre after it has thoroughly completed its process of self immolation. When you’re watching an 18 wheeler, with a supposed full payload of newly minted gold that was switched in a double cross with a cargo of gold painted tungsten bars, barreling down a very steep and winding mountainside road, and the steering wheel is broken, the brake lines have been cut, the windshield’s been shattered, 16 of 18 wheels have come off, the driver has just suffered massive cardiac arrest and the guy riding shotgun has just finished his 4th six pack … … … and now it’s careening toward a cliff side overlooking a deep, dark chasm. We all get the picture, don’t we?